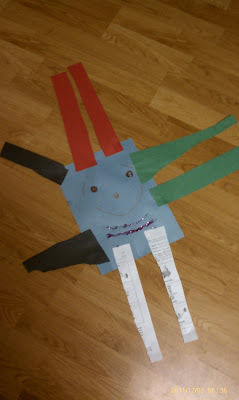 Construction paper and glitter and glue. Our projects are not extravagant! 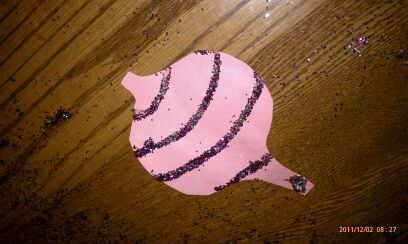 Mommy cut out ornaments and added glue stripes while two year old had a blast sprinkling with glitter! Five year wanted to make his own creation and came up with this.